One of Keens top psychics: reads minds! Need answers? Love,Work,Emotion? I delve into your world. An honest and real psychic who will change your life. I use tarot, astrology, psychic, numerology. I can tell you their thoughts. Fast and direct. What can I do to get this relationship back on track? Will I be promoted or should I look elsewhere? What careers or education are geared towards me? How can I attract the right one? All this and more are just some of the questions I can psychically and energetically read for you when you call or chat me today! I am very fast when I read and the information will come to you as I receive it as I get it, I take a minute to hear, feel, and look before I begin and then it flows from that point on. You then engage with me to change the outcome by asking questions when I give you the reading, we begin our work together. Tarot with Jane is a KEEN favorite psychic because I engage in your well being. I do not judge you or your situation. I simply read whatever is on your mind. I can provide details on timing, situations, people, obstacles preventing you from achieving your desires or help with being stuck in a pattern of behavior. I will give you options and help you to make the best decision to achieve the desired result! My clients tell me when I have worked with them I have helped them save their relationships, careers and enhanced their lives in numerous ways. I am here to work with you and find the best solution to help you move forward in life using communication, thoughts ,actions, and words which will work in your situation. Lets see what is happening now and plan a course forward together. I will be your friend, your coach, your advisor and so much more when we develop a relationship on KEEN, read my feedback and see what others have to say about the readings they have experienced with me. Others will notice the change in you as you watch everything come into your life . Lets begin this journey today. Jane has a unique and no judgement approach in her readings that she personally developed combining Astrology/Numerology/Tarot to give you amazing accurate details that others may miss. What am I known for in a reading? I will tell you what I see in the future, timing included in the prediction then we begin our work. I am known for getting relationships back on track, assisting in placing people into new jobs and changing careers. Known for what will work to get the promotion or if its time to seek new employment. Healing wounded people connections. Talking to you honestly about soulmate and twinflames with guidance on how to manage them. I can see why your lover is not opening up to you and influence change by reading the current energy and help you construct that next phone call or text. I can help you move forward in entering a new relationship if your stuck in a pattern of make up and break up and desire to try something new if fear is holding you back. We can work on self limiting belief in yourself and raise your self esteem and independence. I can see energy and read peoples minds to be that friend you need as a psychic tool and give you a honest, truthful, direct way to heal or mend and repair your relationship. If I see someone new coming I will tell you if that is in your future in your reading too. If you give Jane the time and the energy I will help you manifest and affirm your wants and desires today using some simple Law of Attraction techniques! Jane will work with you at your request to teach you how to change your outcome with applying some simple rules that change energy and vibration patterns through thoughts, actions and spoken words. Jane is on your side without judging you offering peace of mind and friendly guidance to help you move forward through sometimes difficult decisions that are being presented in a reading in a professional and nurturing manner. Jane can use her incredible psychic skills combined with tarot to carefully deliver messages received to change your course to achieve a favorable outcome in all areas of your life. Jane has been helping people for many years obtaining desirable outcomes. You are in control of your life, you can have anything you want, you can change your destiny and you can have anything you desire . 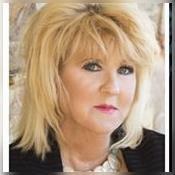 Read about Jane under KEEN/ARTICLES/PSYCHICS and see why you should call Jane today! If Jane is not available send an email and she will log on for you. DISCLAIMER: Please respectfully do not rate my calls and chats on timing. Simply My Guardian Angel ! From Jane you will get true guidance, true caring advise, calls things how they are, and really works with you to get you where you need to be in live. Tarot With Jane has been a user of Keen since 2006. Getting Tarot Readers advice from Tarot With Jane through www.keen.com is safe, secure and confidential.